The vessel arrived on the Alaskan coast last week carrying some 4.9 million liters of diesel fuel and gasoline for Nome. 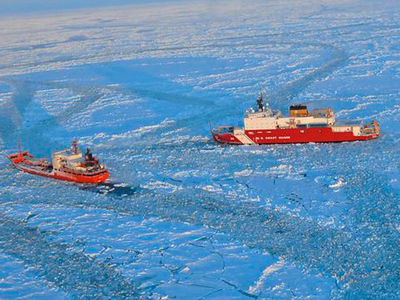 America’s only functioning icebreaker, Healy, cleared a path for the tanker. Currently both vessels are moored some 800 meters off-shore, while the fuel is being pumped via two hoses. 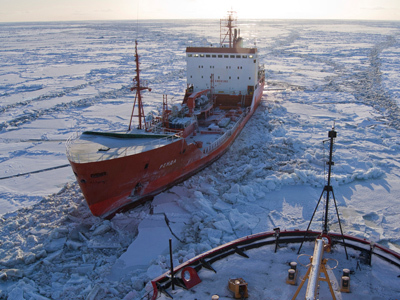 Nome started running short of fuel after the last pre-winter barge was stopped in November by a massive storm. With the winter expected to be the coldest in a decade, the town would have run out by March or April, long before the sea’s return to navigable conditions. 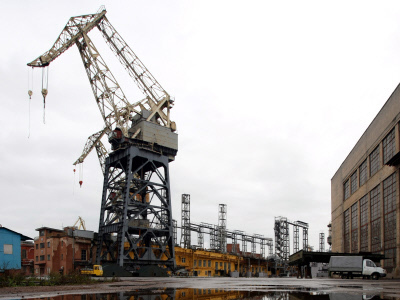 Renda, which normally supplies the cities of Chukotka and Kamchatka regions in northern Russia, was called as backup. The tanker left Russia in December, picked up its cargo of diesel in South Korean Incheon, and then sailed to Alaska’s Dutch Harbor, where gasoline was loaded. 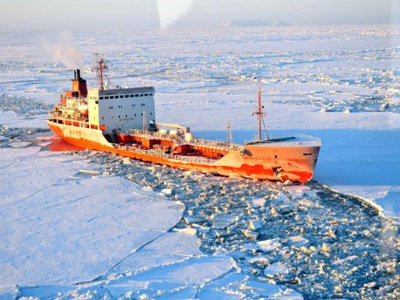 It continued to its final destination with the help of the icebreaker. The actual pumping could begin only after the ice disturbed by the ships froze again and the crew could safely stretch hoses across it. “It’s just been an absolutely grand collaboration by all parties involved,” Stacey Smith of Vitus Marine, the fuel supplier that arranged the delivery, told AP. Earlier Fazil Aliyev, the head of the company which operates Renda, told RT that the Russian tanker with a deadweight of 6.3 tons and high ice protection was chosen because the US has no similar vessels. “Our main goal is not so much to make profit, but to rescue people,” he added. The exact cost of the mission is yet to be calculated, but it is significantly lower than if the fuel were flown into Nome.